Check out the trailer for the Vita release. The story is the standard "there are now zombies, mankind is doomed, it is somehow still the year 2013," so never mind that. The only thing you and your team need to focus on is how you're gonna put more lead into that rocket-launcher toting monstrosity over there, only now making use of your analog joysticks. Where did he even get a gun like that? 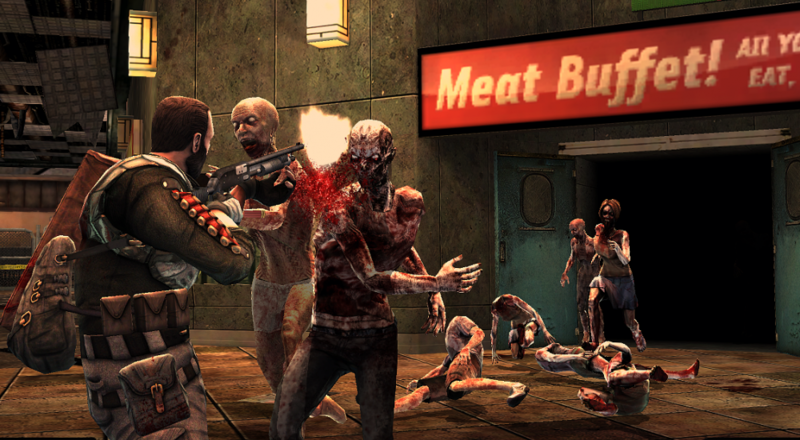 I can't think of anything more deserving of a nice, white-hot bullet to the brain than a zombie. Granted, we've probably dispatched several trillion of them in our video game lifetimes (and how many have ever been killed in real life? Four? Twelve? ), but as long as they're still shambling forward and growling, we'll keep putting them down. We liked 2013: Infected Wars quite a bit when it launched initially. If you've got three friends with Vitas and a grudge against the undead, it might not be a bad get. Page created in 1.1222 seconds.